UPDATE: We have our winners: Mary Kramer, Summer Brown II, Holly Arledge, Vicki Neulinger, and Bri Noffke. Please check your email on how to claim your prize. Thanks to everyone who entered! Dying to try a keratin treatment? 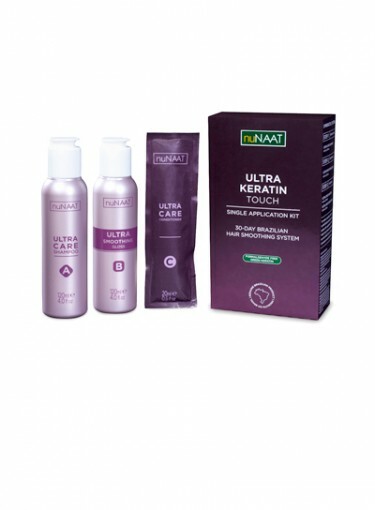 The Ultra Keratin Touch Hair Smoothing System is an amazing at-home kit that includes Ultra Care Shampoo, Ultra Smoothing Gloss, and Ultra Care Conditioner. After using the Ultra Keratin Touch kit, your hair will be smoother, shinier, and so much stronger. To enter: All you have to do to enter for your chance to win is to fill out the sweepstakes form on our Facebook page.